Meghan Markle is the living version of every little girl’s dream. And, while not all of us can be so lucky as to meet our prince charming and become a duchess (outside of our fairy tales), Meghan’s new, modern twist on royal style is just the inspiration we need to give our wardrobe its own royal upgrade. As your guide to the Duchess of Sussex’s most sophisticated looks, here’s how you can recreate Meghan Markle’s effortlessly chic combinations into your wardrobe to give your style the royal stamp of approval. Her look: Since the wedding, Meghan Markle has slipped seamlessly into her new high-society setting. For a day of racing, the Duchess of Sussex wore a Givenchy collared dress and a black-and-white Philip Treacy hat and accessorized with a Givenchy belt and clutch, black Balenciaga pumps and a Philip Treacy fascinator for her finishing touch. Her look: For her first event without Prince Harry, The Duchess styled an elegant, custom Givenchy dress with a buckled belt, Sarah Flint pumps and accessorized with a Givenchy leather crossbody bag and diamond earrings gifted to her by the Queen. 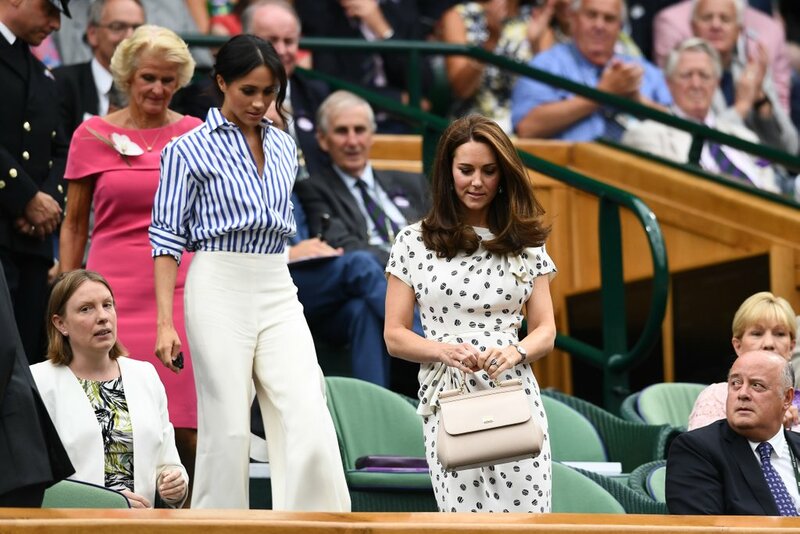 Her look: As her close friend Serena Williams played in the women’s final, Meghan Markle sat at Wimbledon alongside her sister-in-law, Kate Middleton. True to form, the Duchess of Sussex styled a smart, low-key, new look at the event. While we might not have a custom-made Givenchy dress for our everyday outings, there are still things you can do to emulate Meghan’s chic, classic style. Though Meghan has quickly become a bonafide style icon since the royal wedding, her perfectly simple, timeless outfits are something anyone can make their own – even on their own budget. Let’s check out some of Meghan’s favorite looks and closet staples before she became the Duchess of Sussex. Anyone knows that a few great basics can be mixed and matched to create various, equally stylish combinations. For example, a great pair of jeans and a trench is the perfect combination for an ensemble that toes the line between structured, casual and effortless. Not to mention having a go-to pair of ballet flats is always a definite must. Former Suits star has no problem tweaking simplistic closet staples into chic, accessible workwear. From form-fitting pencil skirts to her own twist on the classic blazer, Meghan Markle is an inspiration for modern office style. 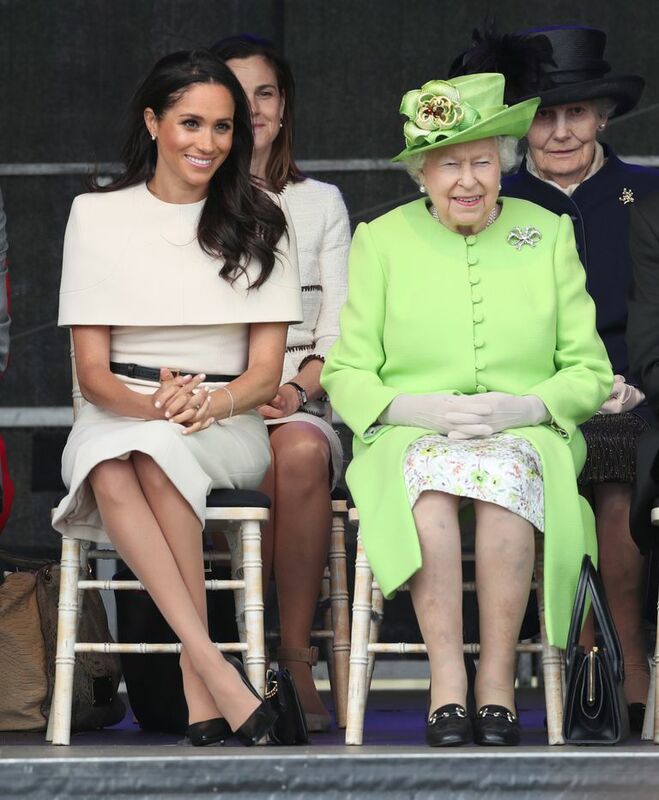 No matter which of these chic, elegant looks suits your style best, you can’t go wrong with any of Meghan Markle’s classic combinations!